Wildfowl – are you sure? I have started a quest to familiarise myself with “wildfowl”. According to the RSPB this includes “medium to large birds with rather long or very long necks, mostly short, broad bills, short legs and the front three toes joined by webs”. This includes swans, geese (divided into “grey” and “black”) and ducks (divided into surface feeders and divers). This week I took a walk to Roath park and lake on the outskirts of Cardiff city to see what I could find. It was a great opportunity to have a very close look at the somewhat urbanised wildfowl and get some close up shots! 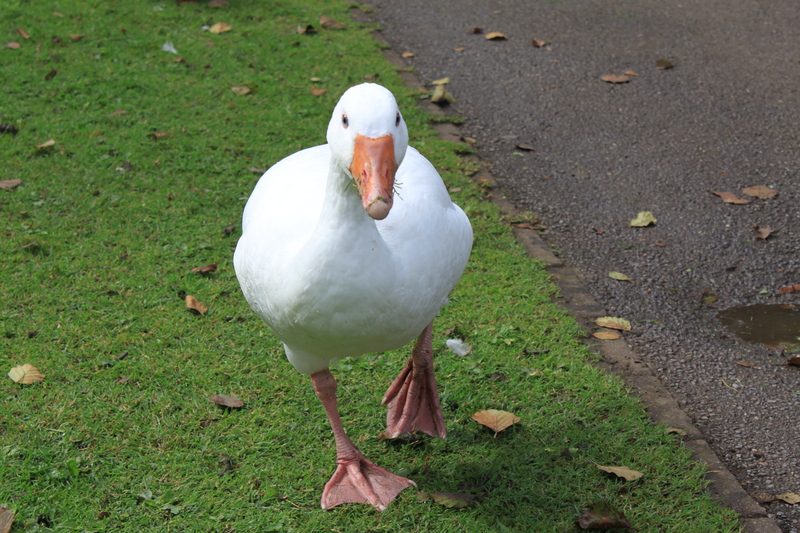 Geese have been domesticated for a long time (3,000-4,000 years) for their eggs, meat and feathers. 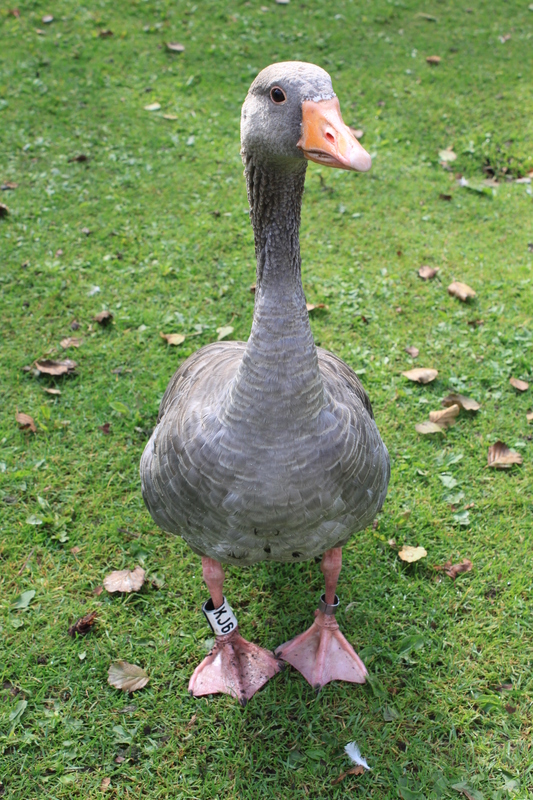 Domestic geese come in a wide range of colours sizes and shapes (makes ID really easy!) and are much bigger than their wild counterparts (almost 3 times heavier!). You can tell a wild goose from a domesticated one by their posture (more horizontal) and body structure (slim rear end). 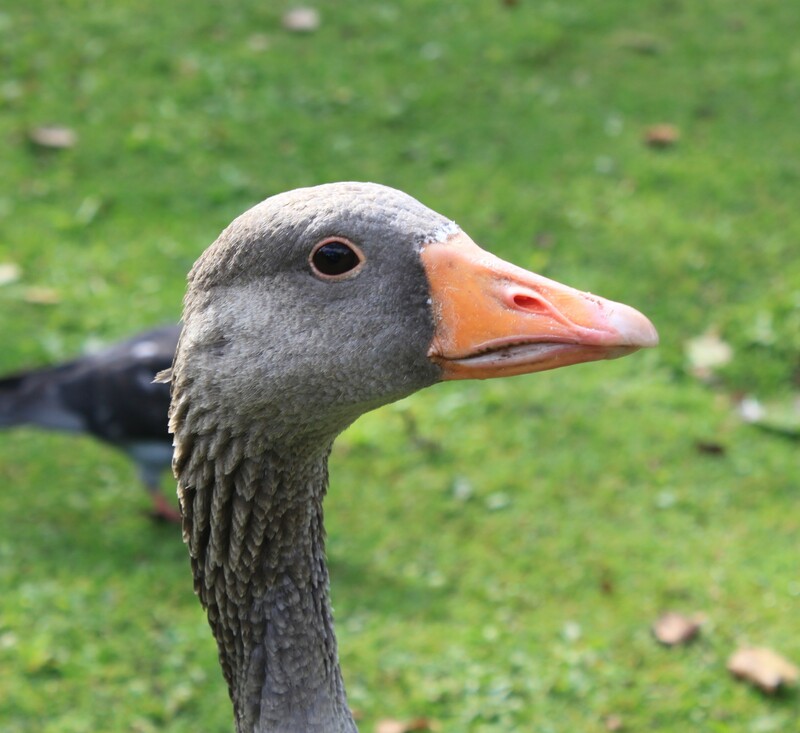 There are numerous (+90) breeds of domestic geese which originated from two main types, the greylag goose and the swan goose. 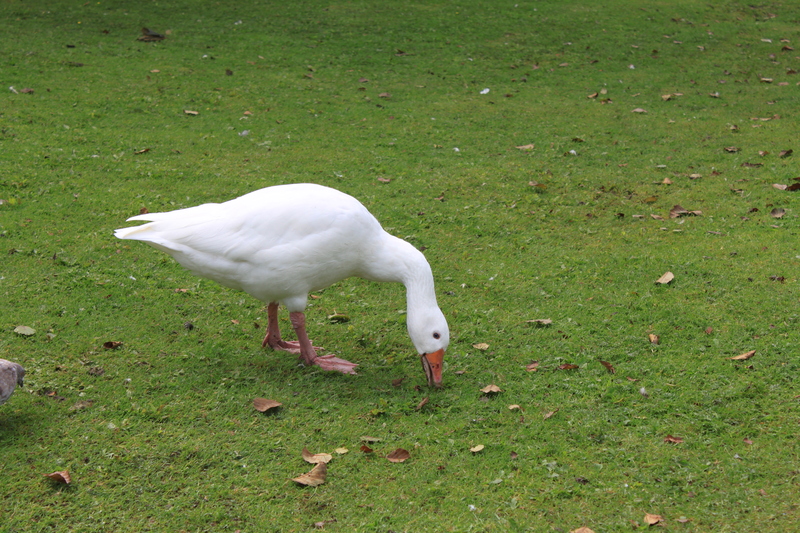 I came across 4 types of geese in Roath park (I think). Lots of white domesticated geese (possibly Embden, as it’s popular in Europe), a large of Greylag geese , some Canada geese and a small number of Barnacle geese.The Greylag goose, an ancestor to domesticated geese is a resident of the UK. The semi-tame variety is common near lakes and reservoirs in lowland UK but the wild, native flocks are found further north. 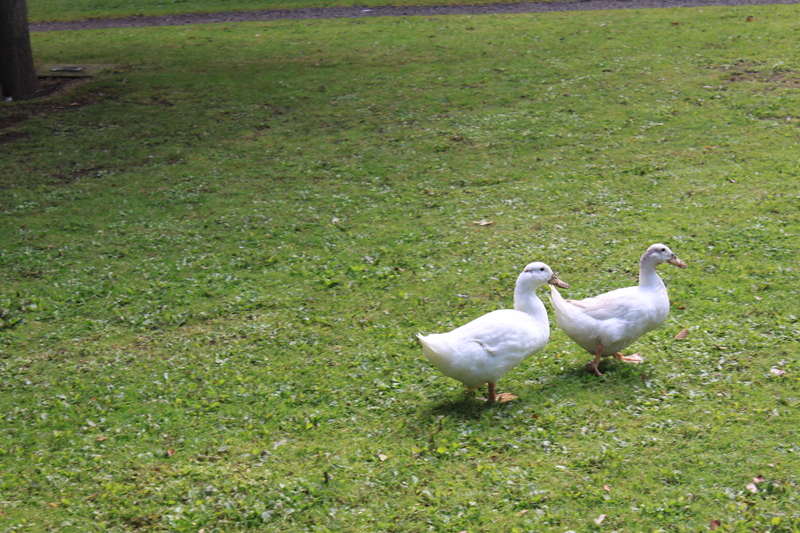 The group I met were definitely very tame, and were chasing small children around the park in search of bread. The have brown-grey plumage, a plain head and a large orange bill. The Canada goose which is introduced from N.America has a black head with a white chin strap (forgot to take photos of him!). The barnacle goose is slightly smaller and has a white face and a black and white barred back. They are not as wide-spread as the Canada goose and are rather shy (again, forgot the photos!). I did manage to spot a few other birds, that weren’t geese. Mallard ducks, coots, moorhens, 8 herons, little and great crested greebes, various types of gulls (that’s another story!) and lots of mute swans on the lake. I did spot one single black swan (Cygnus atratus) at the top of the lake. 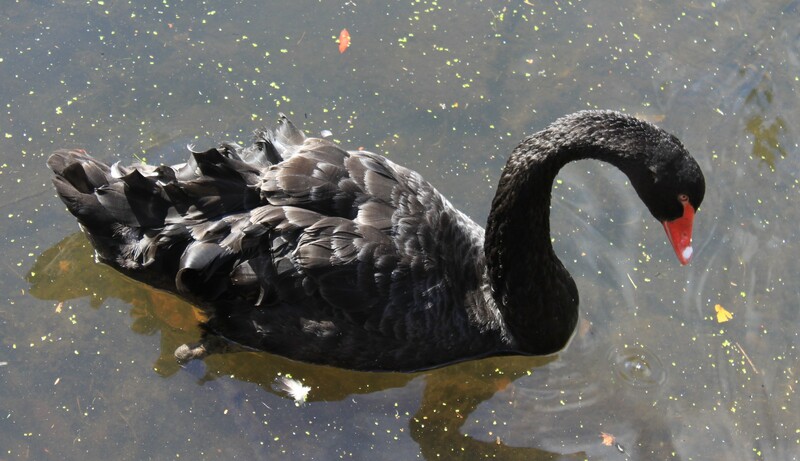 The black swan has black feathers and a red bill with a white stripe across it. They are native to Australia and like similar habitats to mute swans. They were brought to the UK as ornamental birds and some have obviously escaped!